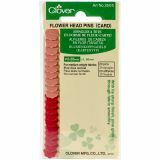 Flower Head Pins - CLOVER-Flower Head Pins. Use these color head pins while working on a sewing project! The colored head with flower shape makes it easier to see on your project. 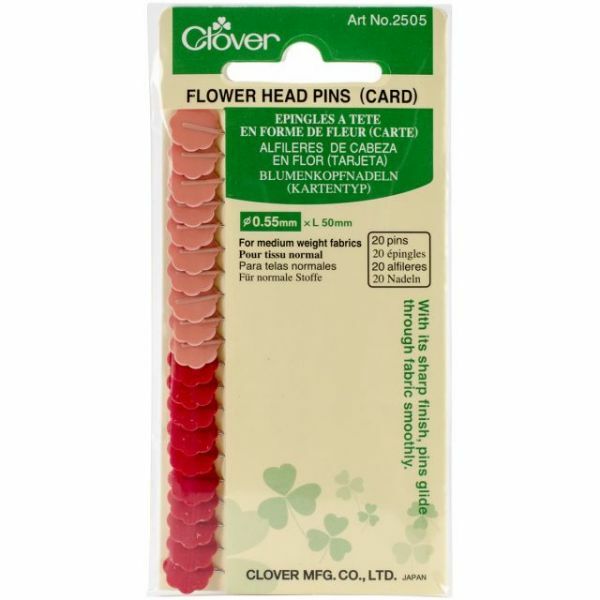 This package contains 100 2 inch long headpins (twenty-five of each color) in a clear plastic case. Design: Flower. Imported.